South Africa vs Pakistan 3rd Test: South African speedster Dale Steyn is one wicket away from equalling legendary Kapil Dev. 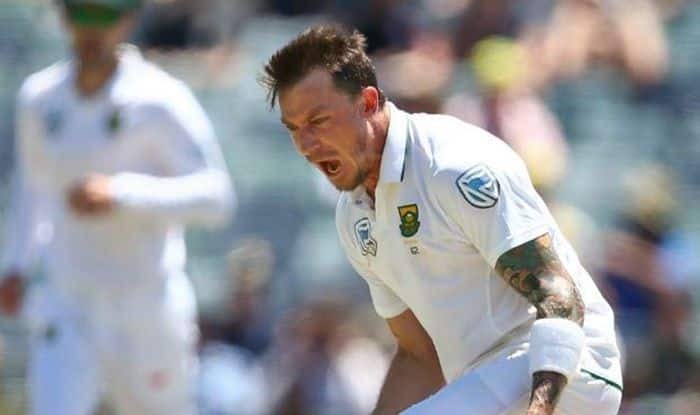 South Africa vs Pakistan 3rd Test: South African speedster Dale Steyn is one wicket away from equalling legendary Kapil Dev. With 433 Test wickets in 91 matches, he surpassed Sir Richard Hadlee and equalled Rangana Herath and Stuart Broad as well. He has looked in good shape after returning to the side after an injury which kept him out of the game. In the first Test of the ongoing Test series with Pakistan, Dale Steyn became the highest wicket-taker for South Africa surpassing Shaun Pollock. Dale Steyn has already picked up 12 wickets in the Test series and has looked menacing. He played a pivotal role in the victories for the Proteas in the first two Tests. Meanwhile, South Africa won the third Test by 107 runs and blanked them 3-0 in the Test series. Quinton De Kock starred with the bat as he slammed 129 when the Proteas were reeling in the second innings. Markram’s 90 it was in the first innings that set it up. Duanne Olivier was the pick of the bowlers for South Africa as he picked up eight wickets in the Test, comprising of a five for 51 in the first innings.